Hello, lovelies! 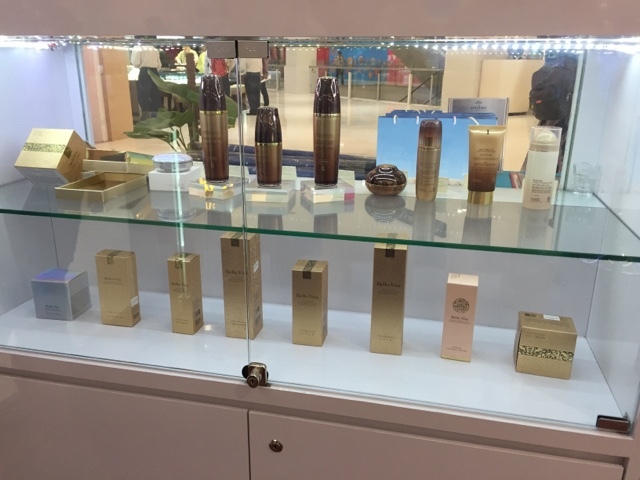 Popular Korean beauty brand Sorabee has opened its standalone counter in Da:Men, USJ. 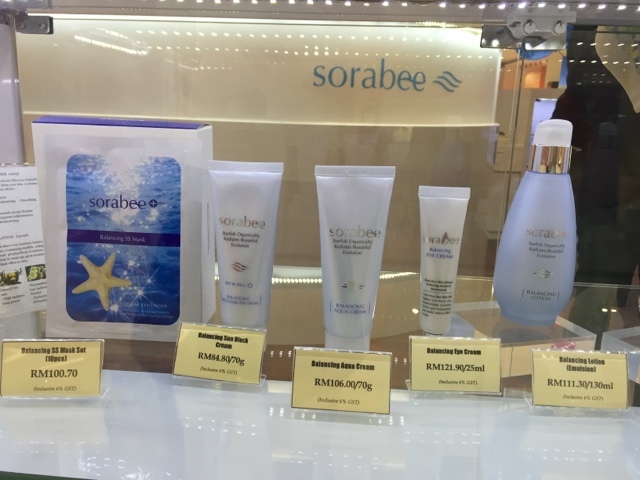 Do you know, Sorabee is the first company in the world to successfully extract a high quality collagen from sea star, an important skin care ingredient. Sorabee actually means 'honey from the sea' in Korean. The open concept counter draws on the concept of an aquarium decorated sea star. Blue ocean-inspired walls sparkle with exuberance of tiny lights that accentuate the breezy simplicity of the varied offerings that boast beneficial marine ingredients. 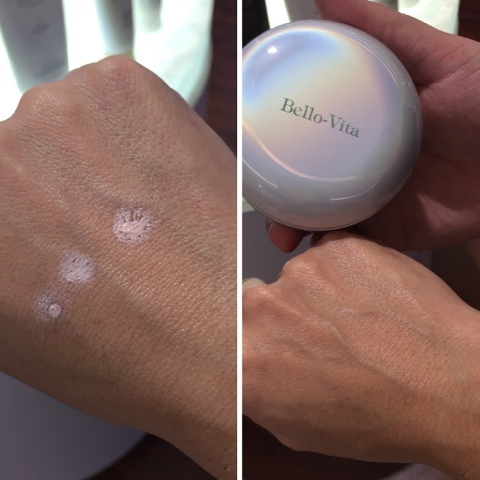 Bello-Vita Anti Aging skincare range. Majority of Sorabee products are water-based providing intense moisture without the icky and sticky feeling which is common with other beauty brand. The potent combination of Sorabee is rich in collagen and minerals to combat skin problems such as repair of damaged skin cells and promoting skin elasticity. Best seller, Sorabee Balancing skincare range. 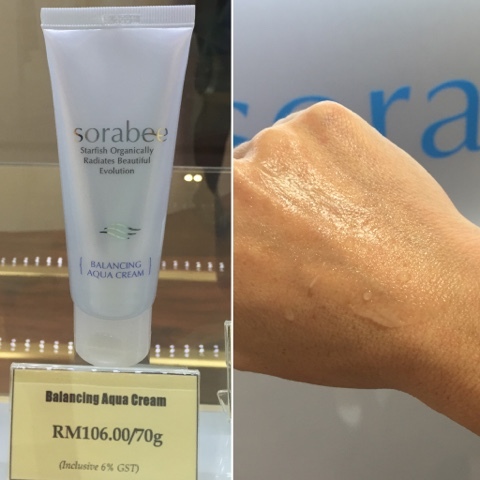 One of my favourite product is Sorabee Balancing Aqua Cream. The star product is suitable for all skin types especially skin suffering from dehydration. Upon application, the cream turn into visible water drops effect that gives extreme moisture to skin without stickiness. The all-in-one cushion compact provide effortless and flawless coverage with whitening and UV protection. Congratulation to Sorabee on your grand opening. 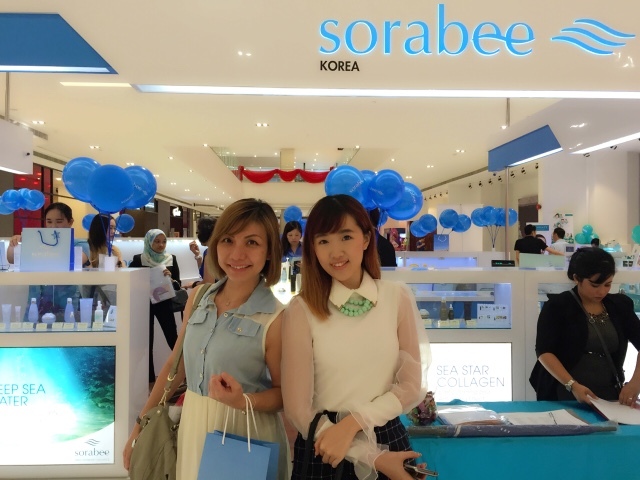 All Sorabee products are priced affordable between RM63.60 to RM121.90. 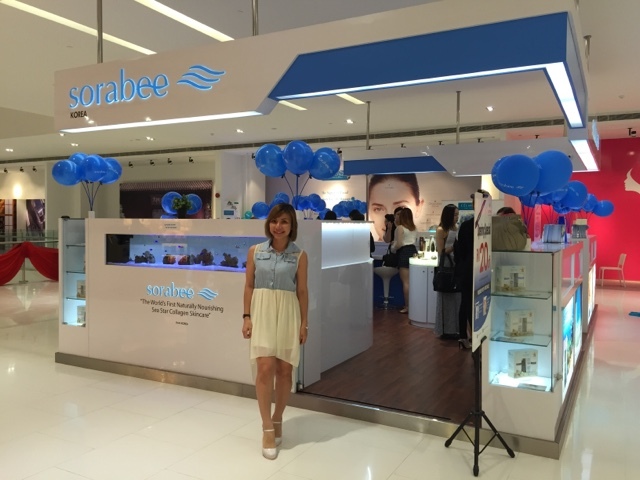 Sorabee offer quality, effective and yet affordable skincare for uniquely Asian. Now you could indulge in equivalent pampering methods of your favourite K-pop idols for eternal youth and radiant.